Netflix hoped to screen Martin Scorsese's The Irishman at the Cannes Film Festival this year. However, the movie will not be finished in time to debut at the annual French festival. The streaming platform and the festival had a very public battle last year over the fact that France has a strict policy involving streaming movies playing in theaters. According to laws in France, there must be a 36 month wait before a movie can be shown on a streaming platform, which isn't how Netflix handles its projects. This led Netflix to pull Alfonso Cuaron's Roma and premiere it at the Venice Film Festival instead, along with a lot of confusion surrounding streaming platform projects and their place at film fstivals in general. A lot has changed in the last year and the Cannes Film Festival has been keeping an open dialogue with Netflix. The streaming platform's Ted Sarandos and Scott Stuber have been talking with Cannes artistic director Thierry Fremaux over the past several months and Netflix was gearing up to have a major presence at Cannes this year. 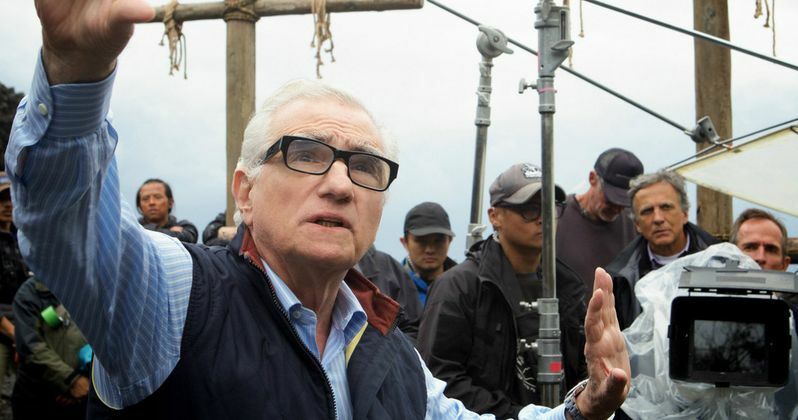 However, Martin Scorsese's The Irishman won't be ready in time due to the fact that they will still be working on the digital effects. The first half of The Irishman features de-aged versions of Robert De Niro, Joe Pesci, and Al Pacino. Industrial Light and Magic is the team that is stepping up to the challenge, but it's going to take them a lot longer than anticipated to make everything look right. This is something that long-time Scorsese editor Thelma Schoonmaker was worried about since, as of last month, they had not seen any de-aged footage. Schoonmaker emphasized that there was still a lot of work to be done in order to get everything looking natural and real. Additionally, Steven Soderbergh's political drama The Laundromat and The King, which stars Timothee Chalamet, will also not be finished in time for a big Cannes debut. However, it is believed that this will not affect the current goodwill between Netflix and the festival. The Irishman will instead premiere at the Venice Film Festival in September of this year if everything goes according to plan. There is a lot of hype around the project and many are already seeing Academy Awards nominations, even though we have yet to see any footage from the movie. A teaser for The Irishman was recently released online, but it only provided some graphics and dialogue from the movie. Since the de-aging process is still currently underway, it might be a while before we are treated to the first footage of the project that reunites Robert De Niro, Joe Pesci, and Martin Scorsese. Interestingly enough, The Irishman marks the first time that Al Pacino and Scorsese have ever worked together. Hopefully Netflix will have everything they need for next year's Cannes Film Festival. The Irishman premiere update was first reported by Variety.